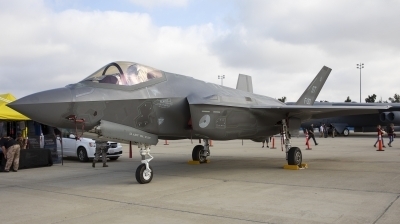 On static display at the 2018 March ARB air show. 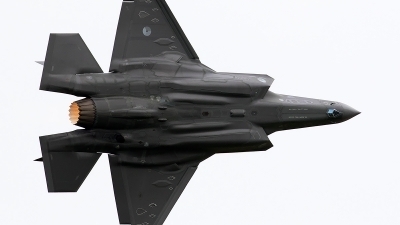 impressive display of the new generation fighter of the KLu. 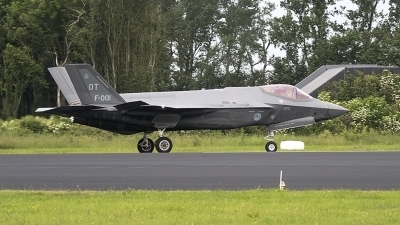 The Royal Netherlands Air Force F-35A Lightning II (F-001; OT; cn AN-1) is seen here taking off from RWY23 at the start of the Air Power Demo of the Royal Netherlands Air Force ("Luchtmachtdagen 2016" at Leeuwarden AB). 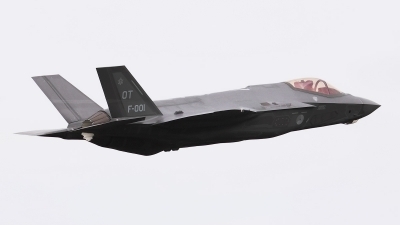 The Royal Netherlands Air Force F-35A Lightning II (F-001; OT; cn AN-1) is seen here banking very hard during a low fly-by as part of the Air Power Demo of the Royal Netherlands Air Force ("Luchtmachtdagen 2016" at Leeuwarden AB). 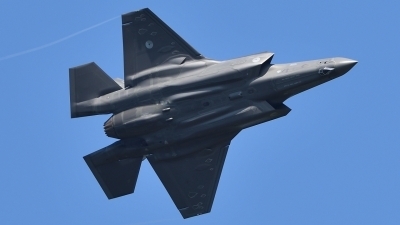 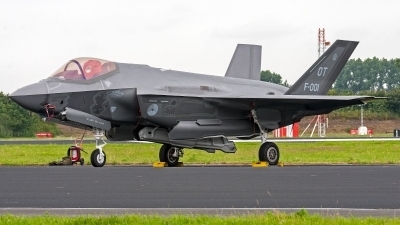 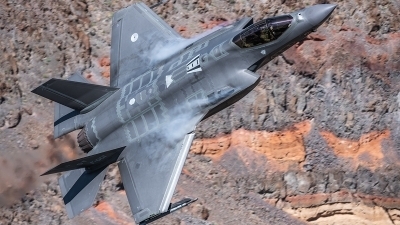 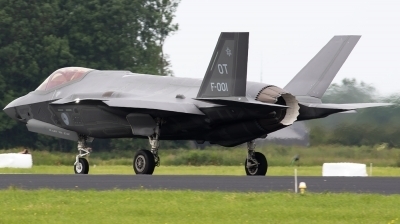 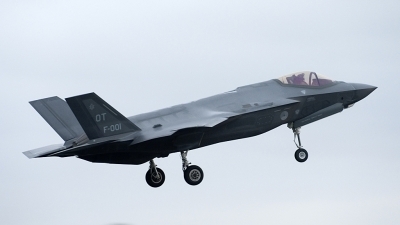 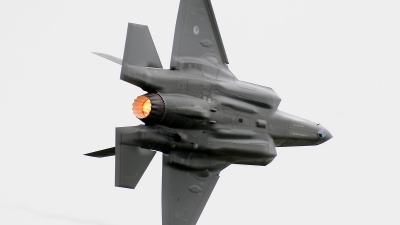 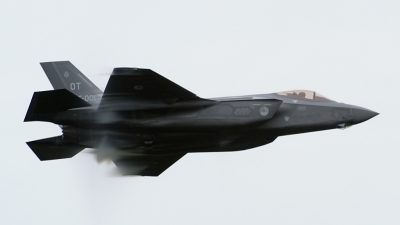 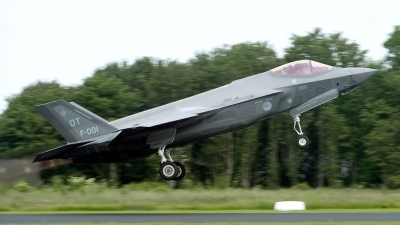 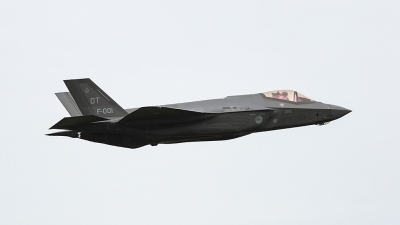 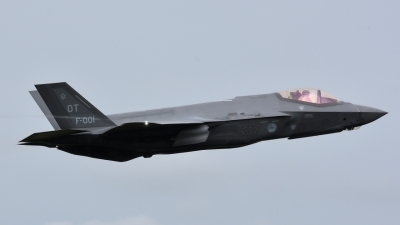 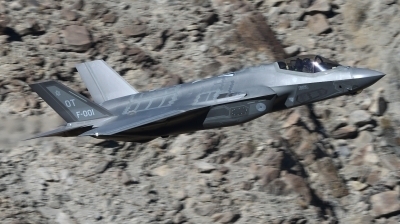 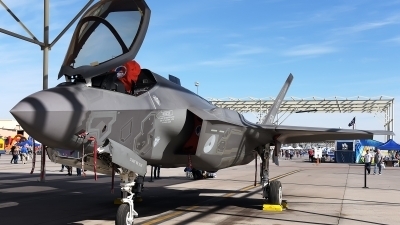 A 'first' at Leeuwarden: the first ever air display of a F-35 in Europe. 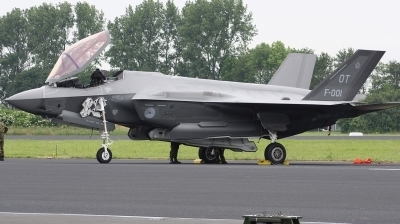 It performed in the air power demo at the Leeuwarden open house. 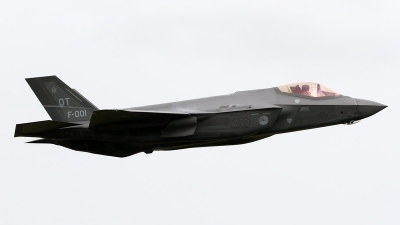 overflying the closed airfield of Soesterberg during the JSF scenic tour today. 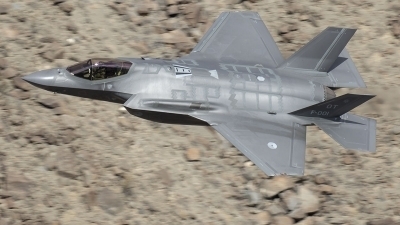 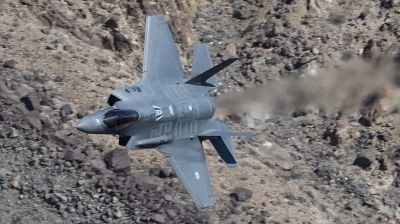 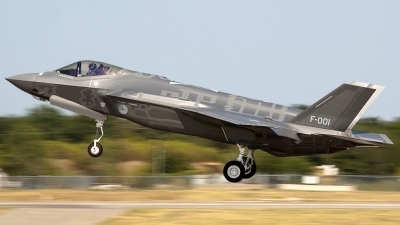 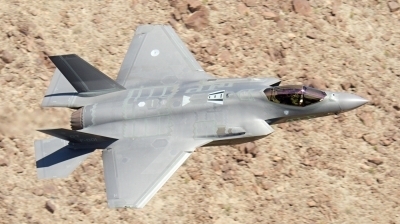 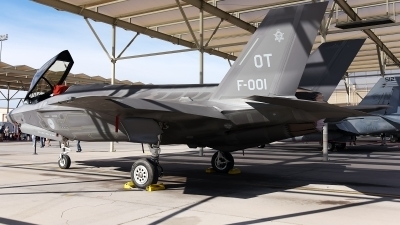 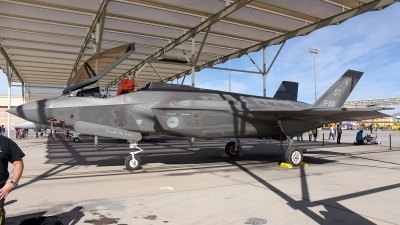 First F-35A for the Royal Netherlands Air Force climbs after a touch and go at NAS Ft. Worth.